The mud-filled, blood-soaked trenches of the Low Countries and North-Eastern Europe were essential battlegrounds during the First World War, but the war reached many other corners of the globe, and events elsewhere significantly affected its course. 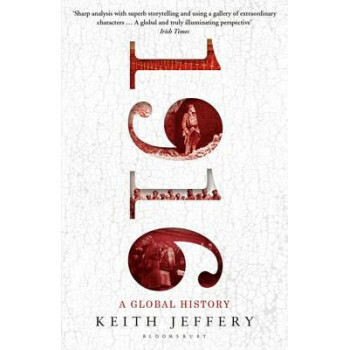 Covering the twelve months of 1916, eminent historian Keith Jeffery uses twelve moments from a range of locations and shows how they reverberated around the world. As well as discussing better-known battles such as Gallipoli, Verdun and the Somme, Jeffery examines Dublin, for the Easter Rising, East Africa, the Italian front, Central Asia and Russia, where the killing of Rasputin exposed the internal political weakness of the country's empire. And, in charting a wide range of wartime experience, he studies the 'intelligence war', naval engagements at Jutland and elsewhere, as well as the political consequences that ensued from the momentous United States presidential election. Using an extraordinary range of military, social and cultural sources, and relating the individual experiences on the ground to wider developments, these are the stories lost to history, the conflicts that spread beyond the sphere of Europe and the moments that transformed the war.